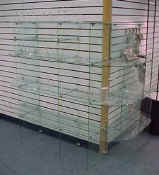 Tempered glass can accommodate almost any need. 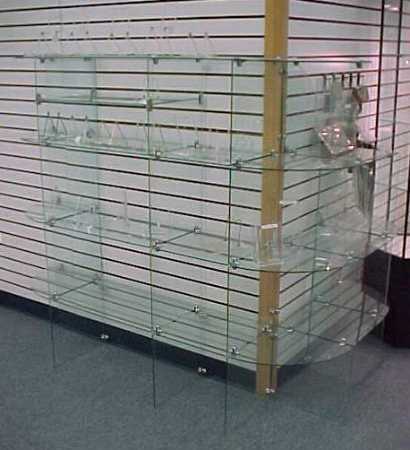 The glass shelving designs shown here are just a few of the many, exciting options available with glass shelving. If there is a glass cube or glass shelving design you would like to have, but you do not see it featured here, just fax us your drawing and particulars as to dimensions. We will configure the detail work and provide you with a prompt quote.